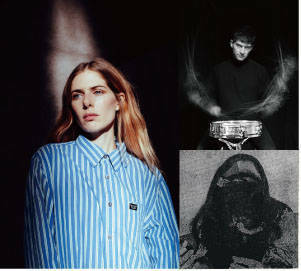 Berlin based American musician Laurel Halo joins force with percussionist Eli Keszler for a special Tokyo performance. Lauren Halo’s dreaming electronic music has been turning heads since her debut in 2010. Her latest release Raw Silk is dark, hypnotic, methodical and beautiful and has won the approval of critics and fans alike. Known for his complex sound installations involving piano wire and other mechanisms, Eli Keszler is a percussionist and visual artist based in New York City.